Are you an aspiring musician? Do you want to learn to play guitar in your spare time? If this is the case, you should choose the guitar you buy very carefully. There are many different brands and models that you can choose from. Some of these are much better than others. Do not assume that the quality of sound that you get from all guitars will be the same. This is simply not the case. You should be patient and explore all of your options where guitars are concerned. Here are a few of the tips you can use to make the selection process easier. 1. Get some opinions from people who already own a guitar. 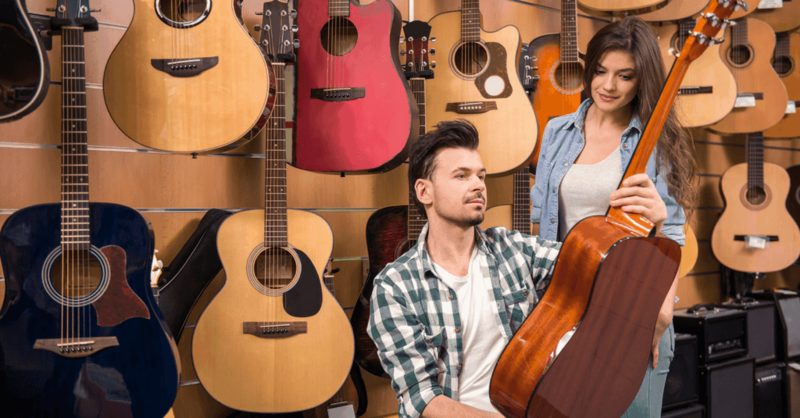 The first thing you should do is inquire about the specific brands and models that are used by guitar players you know. Ask your friends, family members and people at your job if they play guitar. You should then ask these people why they chose the specific type of guitar they own. How long have they owned it? Have they ever needed to have it repaired? How much did it cost? Did they buy it new or used? Where did they buy the guitar? They might be able to tell you about a store or website that has Preston Thompson guitars for sale. 2. What is the return policy of the store or website? You need to have a firm understanding of how long you will have to get a refund for the guitar you are going to buy. There is a chance that the guitar might not live up to your expectations after you start playing it for a while. Therefore, you need to know the policy of the store or website where refunds are concerned. These policies can vary greatly. 3. Ask the store or website if they offer a payment plan. A guitar can be a very expensive item. Therefore, you might not have enough cash to pay the entire price of the guitar all at once. In this case, you should see if the store or website will allow you to make payments.